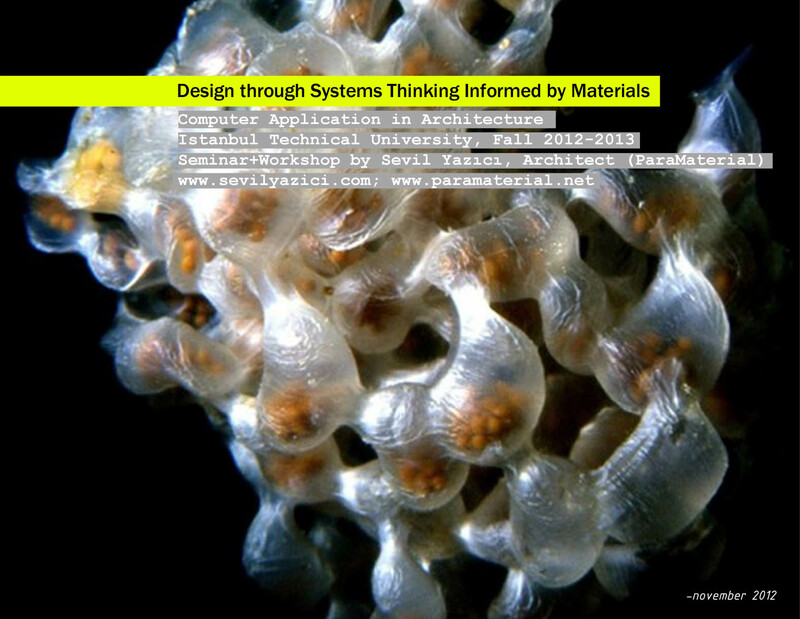 Parametric design | >> ParaMaterial. 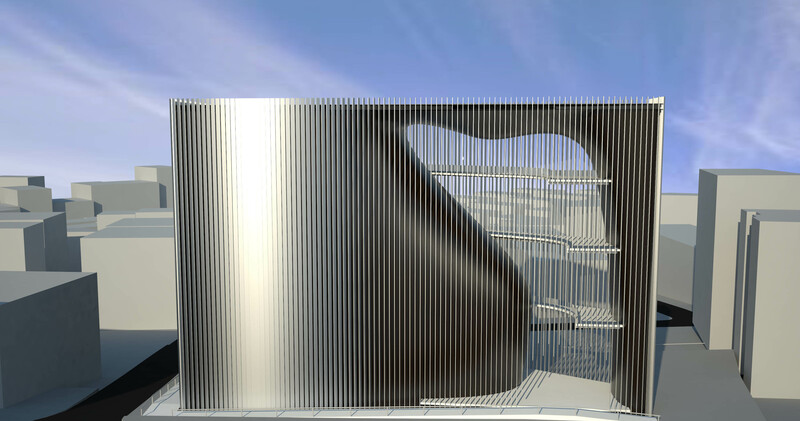 Advanced computer aided design (CAD) techniques liberated architectural form, by enabling architectural designer to generate complex forms, such as freeform surfaces. 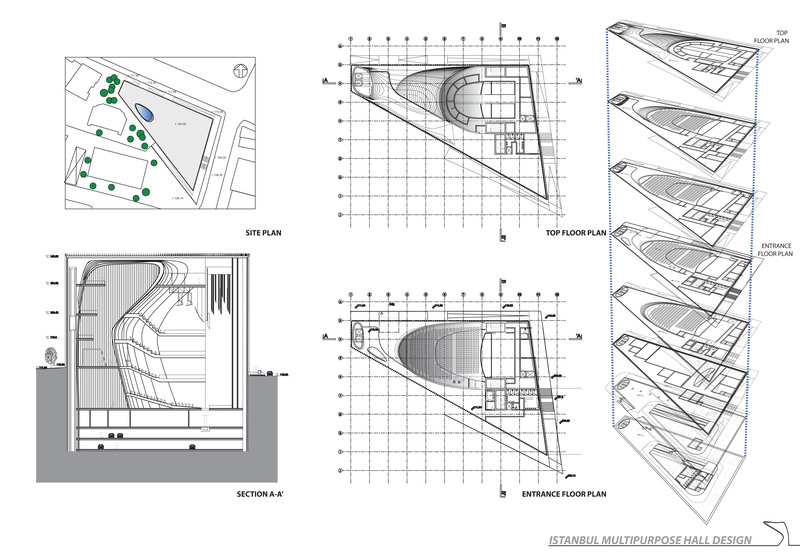 In today’s common architectural practices, computational tools, associated with performance analysis and evaluation, are undertaken during a later stage of the design process, following the form generation. 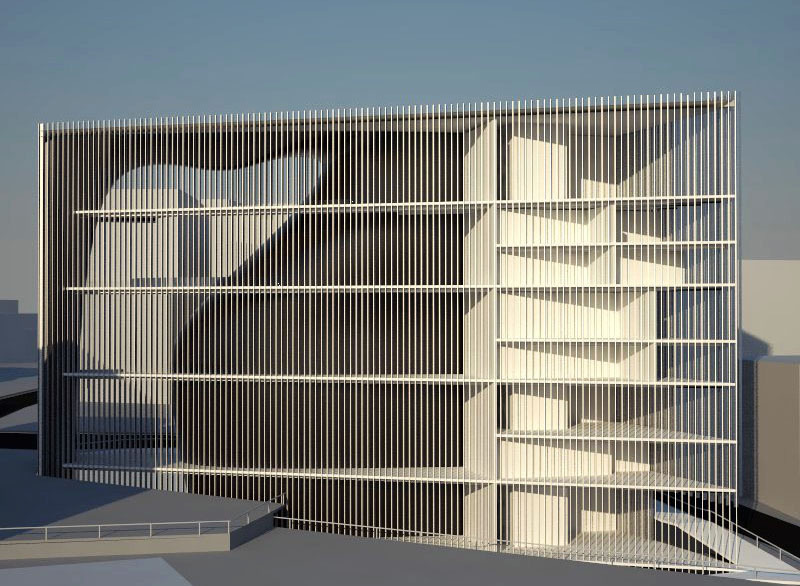 ParaMaterial aims to discuss how material can be integrated into a system in which architectural geometry, material and structural performance are interdependent to increase efficiency by identifying critical procedures towards manufacturing of complex forms in architecture. 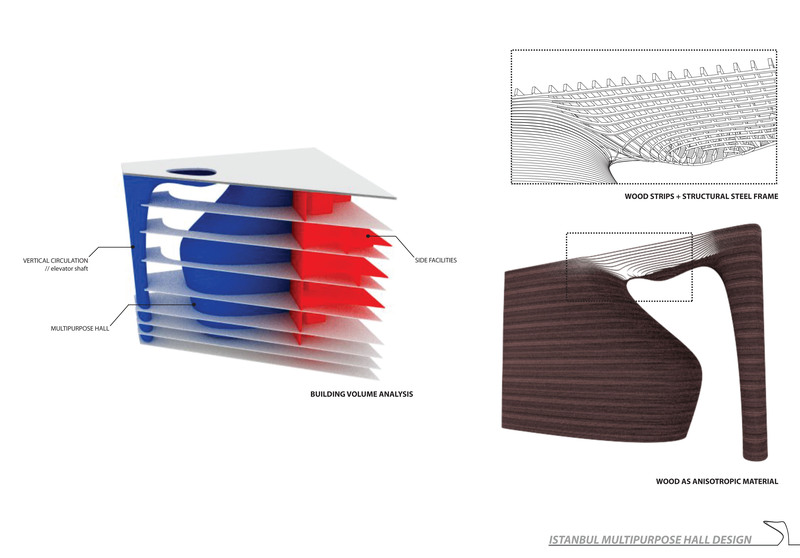 Mathematically driven surfaces are explored of which geometrical attributes can be altered parametrically. 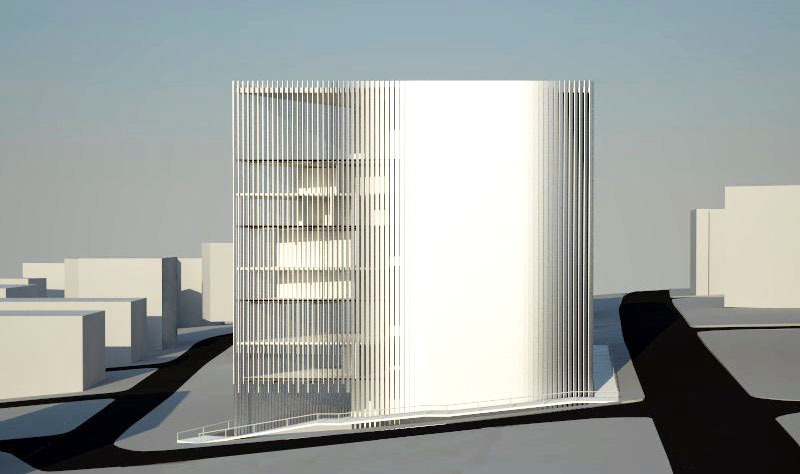 Because buildings are designed to withstand various complex loading conditions, simulations are undertaken for surfaces via Finite Element Method (FEM) and Computational Fluid Dynamics (CFD) analysis tools to investigate how material informs architectural geometry in respond to the static and dynamic loading conditions. The use of mathematics in computational design process enables from simple to highly complex geometries with control parameters. Numerous different types of mathematically driven surfaces such as sphere, torus, cylinder, catalan, moebius strip, klein surface, catenoid helicoids, henneberg, elliptic paraboloid, enneper and many more can be structured in parametric systems by assigning their respective mathematical curve functions. Different stiffness values (S= 125 to 4000) for the springs are tested. 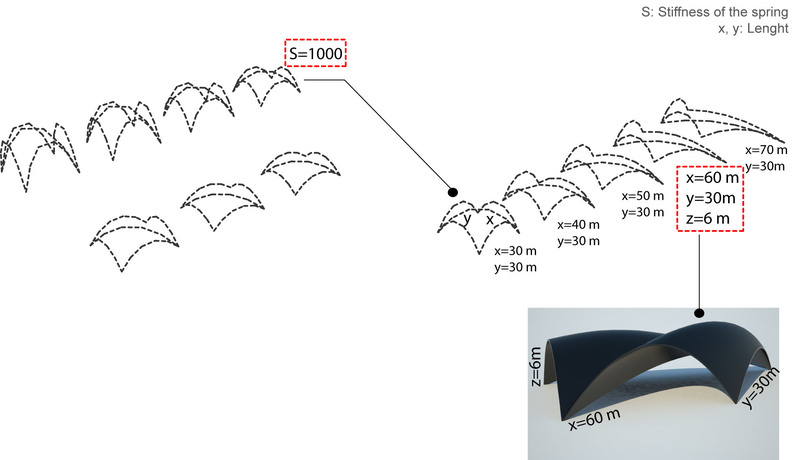 Following the selection of the solution with S=1000, the geometry is adjusted by shifting one corner to break the symmetry and generate large spans.